With the introduction of the new Warhammer 5th Edition I have had to reconfigure some elements within these multiwing lists which if anything have added to their potency. Why look at this combo at all? The release 5th Edition has actually made multiwing lists more viable (in some builds) due to Ravenwing Bike Squadrons having the capability of becoming scoring Troop units. The 'Multiwing' route is exactly where Games Workshop intended the shift to go with a combined Deathwing/Ravenwing force to take advantage of Deathwing Assault, or a termy-heavy battleforce utilising the Ravenwing as fast flanking scoring Troop unit(s) to maximum effect in clinching objects or at least contesting those in enemy territory. Not only that, but with Bikes now becoming Relentless (that is being able to shoot weapons as if stationary and assault in the same turn) they too have become a very interesting prospect in their own right. If yo keep them in Reserve you can use the Outlflank deployment method, unforunately, at the expense of not being able to Scout. So it's a question of finding the right balance between termy squads and the potentially fragile but effective bike units which can dish out a lot of firepower on the move. As I had already decided to steer my Deathwing army towards playing larger 2000 point games as my new standard DW list simply works better this way — it seemed logical to look at the 'multiwing' option at this size too. I have also looked into 1500 point multiwing, but it's hard (for me) to get all the units I want in, and more importantly working together how I'd like. So for now I am continuing to aim for the larger force with the Multiwing setup. The idea behind the selection in List 1 is that everything is focused on the needs of the terminator squads. The two bike squadrons have been set-up as anti-armour and anti-infantry respectively (although the Sarge of the anti-infantry unit has a melta bomb just in case), both can have their Attack Bike detached giving double the options for Deathwing Assault landing sites. The bike squadrons are weak at 3-man, this was done to get the extra Attack Bike in but they don't last long under heavy fire and should never assault unless it's into a much weaker opponent. Dreads provide the long-range support fire — one a traditional Deathwing support unit with hard-hitting twin-linked lascannon and a missile launcher. The other the a twin-linked autocannon — useful for hitting fast skimmers/light vehicles penetrating up to AV12 and with good range too. The option here is to swap the autocannon for the plasma cannon, a good horde-killer but useful against light vehicles if the need arises. But the real meat here are the termy squads. Each has an assault cannon (naturally) and one trooper with a pair of lightning claws for extra close combat punch. The sarge retains his power weapon for additional Initiative attacks to support the claws. As for the HQ, well Belial is armed with lightning claws as these offer greater potential for that decisive turn one drop. Notice too the Apothecary upgrade Belial unlocks for me. This guy can potentially save x8.6 the cost of his upgrade in saved wounds, more in fact if Belial himself is saved, Seems like a solid choice. The Land Speeder meanwhile is a bit of a points filler, effective maybe, but isn't my ideal choice of unit for such a force. I'd prefer another infantry unit of some kind just for the extra wounds. In the above I have combined the two small (and fragile) Bike squadrons into a single larger one, the downside of this is that I only have one Attack Bike. Plus by dropping the points-filler Land Speeder too I have been able to add and another Venerable Dreadnought. Personally I love the TLLC with the missile launcher — it has proved a reliable armour-buster as well as annoying infantry units with the template after it has lost it's primary armament and as they say two is better than one. The plasma Dread is there for fun with the third blast template. As you can see there are 30 points going spare, enough for Extra Armour on two Dreads maybe? Don't discount XA on Ven Dreads, it can keep them moving if needs be into cover so can be very useful, but only spend the points on this when all other bases are covered. 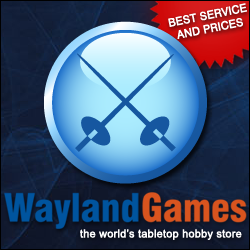 This list has been created to take advantage of the 5th Edition's scoring Troops rule. Sammy has been included as have two 6-man bike squadron and an Attack Bike. This gives this army a maximum of 10 scoring units, and a maximum of 12 Kill Points to give away. Sammael is the best Dark Angel HQ there is without doubt. He has his problems not being an IC — nevertheless he has one of the most accurate plasma cannons in the game thanks to his high BS. The two large bike squadrons soak up more shots/wounds than the smaller ones which were very fragile indeed and don't stand up at all well to the new Fearless rules in 5th Edition if caught in unwanted assault. Attack Bikes are just excellent and represent extremely good value for your points and here I have two again. Another significant change is the inclusion of the Apothecary upgrade for Sammael. This is an excellent option and is a bit of a no-brainer surely? So because of taking a RW Apoth I have also included a plasma gun for him to hold, yes he can save his own overheats!! It makes this (first) squadron very anti-infantry so they take a lot of hits and always risk being assaulted when they attempt to get into flamer template range. The major drawback is the lack of long-ranged high strength weaponry. Those twin-linked lascannon Dreads are surely missed. It is maybe worth considering dropping one Bike squadron to reinstate TLLC and a plasma cannon version as backup as I feel so naked without Dreads.